It’s probably one of the first things you may want to do when you start customizing the theme to align its looks to your brand. 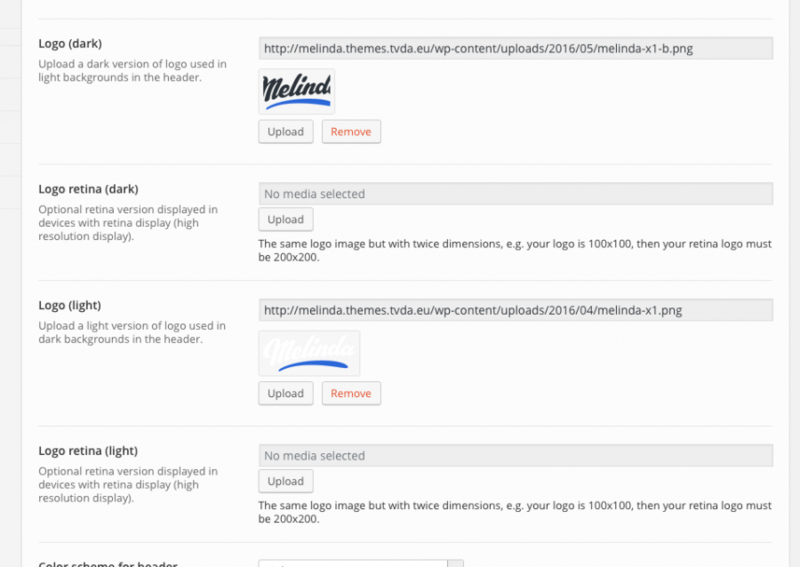 To upload your logo, navigate to Theme Options → Header → Header settings. Logo (dark) – for light background, if you logotype have white element but background is white too, then you need upload logo for it too.